In addition to being an ancient art, Astrology is also a spiritual science. It can help one to understand one’s purpose and place in life and the laws operating in the universe which define our existence. When we read our ‘stars’ in the paper this is only a small light hearted aspect or astrology, splitting the population into twelve as it does, this can only ever be very general. 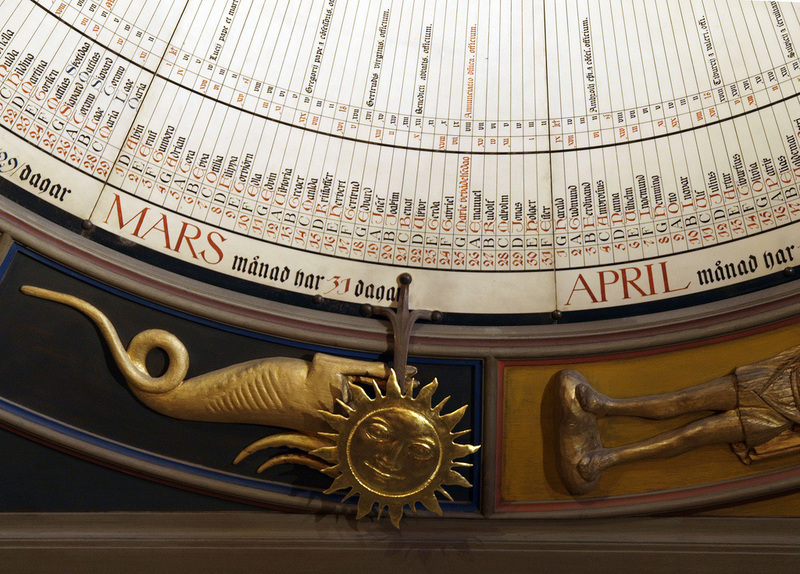 Far more can be learned about an individual by casting their individual horoscope. A chart drawn up using the day, exact time and place of birth (often called a nativity) provides a ‘blueprint’ for an individual’s life and personality. 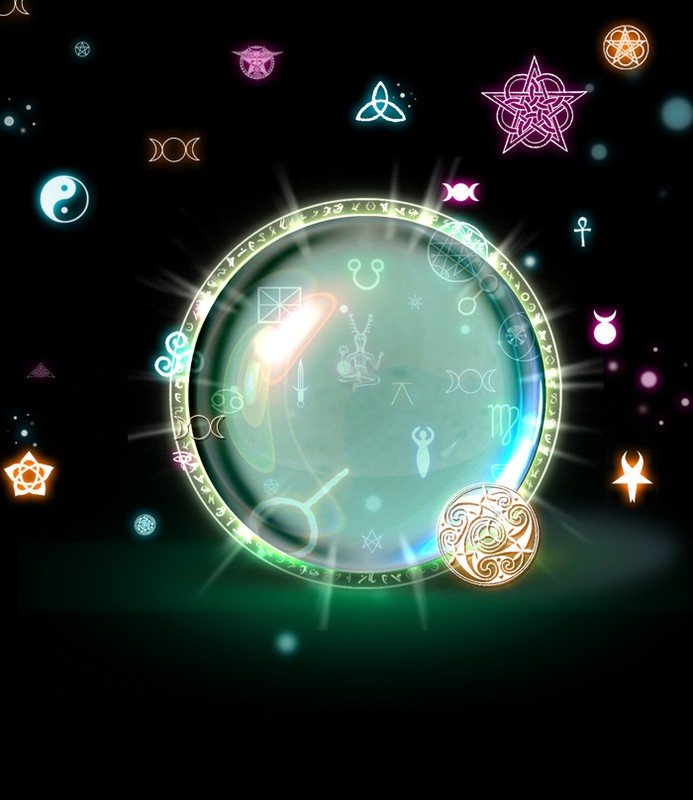 Astrology is a powerful tool that can give insights into the inner dimensions of a person’s life. It describes the human potential and existence. It provides a tool for self-understanding, and can supply meaning to our lives, so we are empowered to make the best choices and know what is right for us. In discovering your talents, skills and potential using Astrology, this places one in a more informed position to take advantage of these qualities and find the right path in life. Providing insights into our relationships, Astrology can help us to untangle and clarify some of our conflicting desires, needs and expectations in this area of life, and why we are drawn to certain people. Astrology gives one the ability to explore the reasons behind certain conflicts in one’s life. It brings an objective view at times of major change or decision, can provide support and direction at a turning point in one’s life, or clarity at a time of personal crisis. By seeing your life and challenges from a higher perspective you are better able to handle difficult situations, make more productive use of your time and energy and see in which way problems and challenges are an inevitable part of growth, progression and wisdom. The first twelve essences that Bach developed were known as The Twelve Healers. A keen observer of human nature, Bach recognised that there seemed to be twelve typical kinds of personality with corresponding states of mind. The twelve astrological signs seem to correlate with the personality types that he identified for these essences. Aries are the trail blazers of the Zodiac. With great courage and pioneering spirits, they like to know what they are doing and where they are going. Not short on enthusiasm and motivation, they are energetic and active but their self-assertive approach and impatience with limitation means that others can find them difficult to deal with. Grasping details rapidly and working quickly, Aries can find it difficult to tolerate delay or hesitation. They are often impatient with others who work slower than themselves or angry when things do not go their way. This can create an intense feeling of irritability. The essence Impatiens replaces anger, touchiness and intolerance with increased patience and kind-heartedness for others. It can moderate the rushed Aries approach to life; so instead of becoming hurried and anxious, it enables these people to be more content to approach life at a steadier and more relaxed pace. It also tempers the Arian tendency to live in the fast lane and dissolves the nervousness and stress which can accompany this lifestyle, as well as the resulting feelings of tension and strain that can be held in the body. Aries is a fire sign, and Aries people have great warmth and passion which can be inspiring and comforting to others when directed sensitively and unselfishly. However the direct approach shown by some Arians, and their desire to be first, can deter others as they can be perceived as selfish or superior. Impatiens essence improves Aries awareness of the needs and feelings of other people and helps them to express themselves with greater gentleness and consideration. Increasing their tolerance and empathy with others, it enables them to use their courage and initiative wisely, to express their natural leadership skills with diplomacy and manage others with understanding, sensitivity and tact. Not known for their forethought or anticipation, especially when young, Aries people often rush straight in without due care or thought, their impulsivity and impetuosity tending to deplete their energies or at worst incline them to accident or mishap. Impatiens essence teaches them to use their energy more shrewdly so it is sustained and enduring. As an earth sign, Taurus operates mostly on the physical and material level. For Taureans, their perception of life is very much what they can see, touch or feel. Often lacking a greater awareness of the unconscious forces that affect and shape their lives, they can become despondent and sometimes depressed when things do not work out as they intend. Gentian essence inspires them to embrace a greater perspective on the way they perceive life, to trust in the laws of nature and have faith that the Universe will provide what is right for them and when. This essence enables them to see problems and difficulties without falling into hopelessness. It gives them the confidence to see barriers and setbacks in a different light and the realisation that adverse circumstances can present challenges, which with faith in themselves they can overcome. Whatever the circumstances, Gentian essence enables them to view things positively and optimistically and to be hopeful and encouraging in their beliefs. Increasing one’s faith that obstructions can be overcome, this essence inspires one to trust in the flow of life without becoming negative, demoralised or dejected. Peace-loving Taurus people do not enjoy conflict and would rather endure some obstacle or discomfort than jeopardize their security, sense of stability or harmony. Their fixity of mind means that they are often reluctant to embrace change. Especially if when doing so they encounter troubles or tensions which threaten to upset their comfort zone — in which case they can be easily discouraged or give up. Gentian essence infuses them with the conviction and the determination either to give something a go or to renew their efforts when feeling disheartened. It encourages surety where doubt and scepticism exist and it replaces resistance with acceptance and hope. Together with their increased certainty and assurance in tackling life’s uncertainties, their stable, enduring and practical down-to-earth approach to life means that they are reliable, supportive and helpful friends. Ruled by Mercury, planet of intellect and thinking, Gemini people usually have busy minds which are ceaselessly moving from one thing to another. Their need for mental stimulation finds them most comfortable in the world of ideas and abstract thoughts. Their tendency to perceive and understand things chiefly from a rational perspective can be limiting if this aspect of their personality is over-emphasised. Cerato essence creates a link with one’s own internal source of knowledge so one’s mental processes are brought into harmony with higher levels of perception. This essence helps one to be attuned to one’s own inner authority and to receive the advice and wisdom of one’s own insights and intuition. With minds that are constantly working on many different things at once, it does not come easy for Geminis to focus their concentration. Cerato essence imparts certainty and confidence in one’s own judgments so it becomes easier to give one’s attention and continuity to the most important issues. This essence also enhances Gemini people’s ability to organise, utilise and impart to others the information and knowledge that they so eagerly gather. It is their constant inquisitiveness and curiosity which prompts their talkative and restless nature, leaving them no time to find trust in their own truth and wisdom. This distrust in their own judgement means that they often need confirmation from others when making decisions. Cerato essence brings certainty and concentration to the Gemini mind so they will be able to believe in their own inner guidance rather than constantly striving to find assurance from others. Their enhanced insights and impressions combined with their rational minds enable them to make the right decision or do the right thing. It is in Gemini’s nature to have two if not more things on the go at the same time. Often vacillating between two decisions or options, this can make them indecisive, unsure and changeable. Helping them to judge whether a certain course of action is the right one to take, Cerato essence brings a quality of trust where doubt previously existed. It assists Gemini in making decisions without excessive wavering or continual consultation with others, and it helps them to stick with one decision rather than changing their minds. Cancerians tend to experience life mainly through their emotions, responding to sensations, tending to feel and intuit rather than respond logically. Their extreme sensitivity and vulnerable emotions can often lead them to withdraw into their shells when they encounter problems or the harsh realities of life. Clematis essence helps Cancer stay focused in the real world instead of escaping into a dream world. It helps instil better control over their wild imaginations which often influence them to worry or think the worse. Enabling them to live more in the present they will find it easier to handle any unpleasant situations that may arise without avoiding life or living in a fantasy world. This is not to say that Cancer’s fertile imagination is not important. This essence helps Cancer people consciously channel this important form of inspiration by grounding their visions and making them workable. It benefits the creative and imaginative Cancerians by helping them to make realistic use of their artistic abilities or bring to fruition their inspired ideas. Sentimental Cancer people are often elsewhere in their thoughts, dreamy, absentminded, living in their own world or in some idealised future in their imaginations. This can have an impact on their ability to be satisfied or fully functioning in the ‘now’. The flower essence Clematis addresses inattention, indifference and confused states, helping to bring the unrealistic or idealistic Cancer back into reality, interested and participating in everyday life. It helps them to see that how they live and think now is what shapes their future. When a Cancer person is fully established in the physical plane this means that he or she has a stronger hold on life which improves energy levels and physical vitality. Cancer people are often found in professions that involve nurturing and the caring of others in some way, and Clematis essence helps them to fulfil their work in the world. By helping them to be more mentally present and emotionally stable, Clematis enhances their ability to utilise their caring, kind and empathic qualities to help others. The qualities of warmth, optimism and enthusiasm characterise the sign of Leo. These attributes are very motivating and energising for those around them but when this manifests as over-enthusiasm, Leos can be very intense. They can literally waste energy through their constant zealous and fervent approach to either life or to a certain ideal. This ‘over the top’ behaviour can result in exhaustion and ‘burn out’, not to mention often boring and tiring those around them. The essence Vervain lessens this over-reaction by mastering self-discipline and restraint. Leo is then seen by others as high-spirited and pleasantly exuberant rather than obsessive or fixated. Influencing Leo to take things at a more calm and gentle pace, the energy of Vervain essence is relaxing and soothing. It not only helps soothe Leo’s fiery nature but it also dispels nervous exhaustion and stress which can manifest in the body as muscular tension. Kind and generous Leos usually have another's best interest and well-being at heart, but their confident approach can often give them the assumption that their ideas or beliefs are best or correct. This overbearing attitude is not always well received by others as they try to enforce on them what they think is best. They can be so convinced of and fixed in their own opinions that they become totally closed or unaware of the differing opinions of others. Vervain essence influences Leos to permit others to hold their own opinions without feeling threatened. This essence enables them to see things from a wider perspective, to be more open-minded and to no longer fanatically try to impose their strong opinions on others or convert them to their way of thinking. Vervain essence tempers over- eagerness, facilitating a more effective use of Leo people’s passionate energies, encouraging them to channel their great warmth and leadership abilities into inspiring others and providing positive encouragement. Not all Virgos are shy but their natural timidity and reserve can mean they often prefer to stay in the background, usually avoiding being the centre of attention at all costs. Unassuming and modest, the passive Virgo can find it difficult to say no, often relinquishing their power to others more dominant. Centaury essence encourages them to stand up for their own needs and interests rather than react to the wishes of others. Willing to help and anxious to please, Virgos can end up doing more than they should, resulting in overwork and exhaustion. Highly motivated to be of use, they have a tendency to neglect themselves in their eagerness to take on the ‘service’ role. Increasing Virgo people’s individuality and will power, the essence Centaury allows them to see how much they do for, and give to, others in the context of their own needs. It increases their powers of discrimination so the Virgo is more aware of his/her efforts or involvements with others. Very often hard on themselves, these people can lack confidence and fear that they are inadequate which leads them to compensate by trying harder. Being overly conscientious and often seeking perfection in all they do can bring worry and tension. With their capacity to overwork and their overwhelming need to serve or minister to others, they can sacrifice or deny their own needs. With such an accommodating nature, Virgos can be taken advantage of or exploited, resulting in them feeling unacknowledged and used. The dignified quality of Centaury essence encourages self esteem and assertiveness, replacing a thankless ‘door mat’ consciousness with self-assurance and awareness of one’s inner power. It is very easy for Virgos to lose sight of their own goals and objectives when they concentrate too much on attending others or serving an ideal or vision. This essence instils wisdom so awareness of one’s own individuality and convictions are strong, enabling Virgos to keep in sight their own mission in life. Fairness and justice is important to Librans. They easily see both sides to an issue but as their symbol the scales depict, they can spend much time swinging between different options, possibilities or choices. Very objective in their reasoning, always appreciating the other point of view, this means that Librans may not find it easy to commit themselves in decisions. Not wanting to upset anyone, it can be difficult for them to align themselves with one particular side in an argument or discussion. Restoring a sense of inner balance, Scleranthus essence imparts assurance and helps one to act resolutely and with determination. Confused at times by possibilities, Librans can change their minds a lot and appear inconsistent. Scleranthus essence calms changeable, restless and unfocused minds and enables Librans to be seen by others as reliable, concentrated and dependable. It also ensures that they do not miss opportunities or lose chances by being in two minds or hesitating. There is nothing like indecision, procrastination or continual see-sawing back and forth from one extreme to another to bring frustration and to drain one’s energy. This uncentred and aimless use of energy can unbalance Libra’s fine qualities of impartiality and objectivity, resulting in confusion and indecision. This essence encourages a state of calmness and certainty enabling Librans to concentrate their energies yet at the same time remain flexible and adaptable. They are empowered to consider all possibilities yet make decisions wisely. Scleranthus essence helps with mood swings or inconsistency which can result from a mind that dithers about or constantly sways back and forth between possibilities. It restores equilibrium and helps Librans to find their true inner rhythm. In a positive Scleranthus state, fluctuating moods, vacillating and wavering thoughts give way to balance, constancy and inner poise regardless of one’s circumstances. When functioning in a balanced and harmonious way, Librans’ natural negotiating skills, tact and diplomacy make them excellent counsellors. Skilled at arbitration they can bring balance and harmony between opposing factions and unity and agreement between others. Scorpio people are very receptive to the energies of other people and their keen insight enables them easily to perceive and understand another’s nature, needs and motivations. This acute sensitivity heightens awareness of their own weaknesses to the extent that they like to be in control and dislike feeling vulnerable, which at times can cause them to manipulate others. With people they care about they can use control to keep them in a state of attachment. Their fear of dependence can also make them critical and possessive of loved ones. Chicory essence allays insecurities and promotes feelings of safety and security so Scorpio people no longer feel that they need to influence, have power over or impose their will on others. This essence changes demanding and needy behaviour into positive feelings of warmth and care for others. Probably the most intense sign of the zodiac, Scorpio is a powerful sign with huge determination, will power and feelings that are strong and passionate. These people are good at keeping their emotions well hidden but beneath their façade they can be hiding some deep feelings and turbulent emotions. When wronged, a negative Scorpio does not forget and will either settle a score or wait a long time to get even. Chicory essence releases a sense of forgetfulness for the self, so self-importance or self-pity make way for warmth, forgiveness and generosity of spirit. Although fiercely loyal and protective, a Scorpio who feels unloved, empty or unfulfilled can often try to obtain recognition and affection from loved ones by being demanding or becoming too attached to them. Quite often they can resort to emotional blackmail or negative tactics in order to get their needs met. Chicory essence enables them to get in touch with the power and endless supply of self-love, so it no longer becomes necessary to gain affection and love by force. This essence fills and satisfies that fearful needy, inner bottomless pit with love, so relationships become positive and healthy. Removing any self-centeredness, it enables Scorpio people to give love and devotion unselfishly to others without conditions or expectations. The optimistic and humorous outlook of the Sagittarian can make it seem as if they are the life and soul of the party. Others are not usually aware that their cheerful, carefree, outgoing and friendly natures can disguise mental anguish or emotional turmoil underneath. When anxious and worried, Sagittarians can put on a brave face, not discussing their inner worries with anyone. Disliking others to see them as not positive or in any way vulnerable, Sagittarians can smile their way through all adversities. Agrimony essence provides the inner strength for them to face any negative experiences without suppressing them. It helps them to communicate their concerns more easily to others, to laugh at themselves and to see any worries more lightly. These people do not find it easy to integrate any negative experiences they have in life or the less positive aspects of their own personalities, often pretending that part of themselves does not exist. Preferring not to be alone with their troubles and fears, they need distractions and the company of others to divert them from any inner discontent. They can be restless, needing variety and excitement to divert them from their worries, or they can resort to escape through drink, drugs or excesses to calm their anxieties or overcome any difficulties. Agrimony essence calms inner conflicts and provides encouragement for them to see their problems and worries from a higher perspective. This essence facilitates recognition, integration and acceptance of all parts of oneself. It develops the inner strength and balance to be able to resolve conflicts, handle problems or face experiences or one’s own less helpful characteristics. Agrimony essence supplies discernment so one learns through one’s experiences in life and can more easily incorporate the darker aspects of life or sides of one’s nature into the personality. This essence helps Sagittarians to find joy and peace within rather than seeking them through outer stimulus. Capricorn's hard working approach to life is nothing if not admirable. It is important for Capricorn people to build, plan, structure or achieve on some level and they do this with unwavering strength and great tenacity. Often anxious about not having enough in life, Capricorn people can take life very seriously. They can be reserved and over-cautious, placing personal security high on their list. Often fearful, usually of material matters or worldly events this can paralyse them with insecurities. Mimulus essence helps release them from these fears and anxieties; it brings peace, balance and the courage to face the world. These people can work relentlessly to achieve their objectives but they can become anxious when they encounter opposition or things do not work out. Mimulus essence restores their sense of determination, enabling them to withstand all manner of limitation or restriction without succumbing to nervousness or apprehension. Instead of fear creating postponement and delay in their lives, this essence encourages them to see problems as opportunities for growth and it instils strength in order to pursue their goals with fortitude. They bear responsibility well but the severe and sombre attitude of some Capricorns can mean that they have an austere outlook on life which can adversely affect their health and their moods. Often unsure of themselves or feeling inadequate or unappreciated, Capricorns can be driven to achieve recognition, placing a lot of importance on authority or status. Encouraging them to listen to their own inner voice, Mimulus essence helps them to establish their own inner authority, certainty and self respect. The out-of-balance Capricorn can place too much importance on earthly possessions, worldly successes or one’s standing in life. Mimulus essence imparts wisdom, so one realises the impermanence of worldly achievements and belongings. Rather than Capricorns focusing on what they may lose or fail to gain, this essence helps them to concentrate on enjoying life. It teaches that although life (and everything related to it) is temporary, one can still exist happily without fear by taking life as it comes. Others often see the proud, reserved and independent nature of the Aquarian as aloof and detached. Their self assured and self-reliant manner can create barriers with others as they can be perceived as distant and arrogant. The essence Water Violet thaws out any remoteness or inaccessibility, enabling them to relate to others with compassion and humility. It helps them to approach others with ease and to be involved and warmly received by them. At those times when Aquarians feels lonely, isolated or rejected by other people or feel like withdrawing, this essence promotes a sense of belonging, enabling them to feel accepted by others. It heals feelings of alienation or abandonment and restores energy to the heart so one feels more open and connected to others. When taken to the extreme, the wilful, highly individualistic and original qualities of the Aquarian can result in rebellion and unpredictability which tends to separate and alienate them further from others. Water Violet essence helps them to interact in a dignified manner yet still maintain their individual and sometimes unconventional sense of self. It enables them to share their gifts with others and prompts them to use their fine humanitarian skills in some service to humanity. The Aquarian social consciousness is usually well developed and they are often sought after for their advice. Aquarians do not usually get overly emotionally involved, however. Their objective manner and detached way of caring enables them to give dispassionate support and help to many. On a personal level they prefer to keep their own problems to themselves, they are unlikely to reveal their closest feelings and can be emotionally distant with those closest to them. Preferring to deal with their own affairs, their reluctance to allow others to help them can result in tension and stiffness in the body. Water Violet essence breaks through these barriers and resistance so they find contact with others easier and joyful. It encourages them to be more open and communicate their own needs. It is Pisceans’ ability to sense and perceive unconsciously, from a non-rational viewpoint, that gives them, like the other water signs, the ability to be in touch with their intuition. This extreme sensitivity, however, makes them very vulnerable to all sorts of influences and without clear boundaries they can easily pick up and absorb the discordant feelings and energies of others. Awash with feelings, emotions and fears this can cause them much suffering and great anguish. Nervous and anxious, this can give way to extreme terror or panic which can drain and immobilise Pisceans. Rock Rose, principally an essence given in emergencies or times of great fear, is helpful to the Piscean who can often find him/herself in this state. It deals with overwhelming situations where one feels helpless or unable to cope, by gathering together one’s forces and re-stabilising an individual. Restoring courage and bravery, this essence enables one to deal with situations with unwavering, steady strength. This essence is a constituent of Rescue Remedy which can be used to bring calmness during nightmares, after accidents and in urgent situations. Rather than the specific type of fear that Mimulus treats, Rock Rose essence is for acute fear of an unknown origin or for an emergency situation. Usually highly emotional, often thinking with their hearts, Pisces can be drawn into situations that they do not necessarily want or need — which can be wearing and worrying. Rock Rose essence allays dread and alarm and imparts mental clarity when one’s emotions are chaotic and confused. Keenly aware of the non-real world, the mystical Piscean seeks transcendence, to go beyond what is permanent and real. Even the more down-to-earth type would rather escape on some level from the reality or harshness of the real world. This sensitivity means that some Pisceans have difficulty in coping with everyday life and this tendency can mean that Pisces is the sign most likely to become dependent on drugs or drink in order to cope. Often given to people with drug problems, Rock Rose essence helps to provide the strength and courage to rise above and win over these abusive patterns.